Tolchards provides a specialist drinks service including locally sourced, niche, imported, regional and national brands for around 500 pubs, hotels and restaurants. 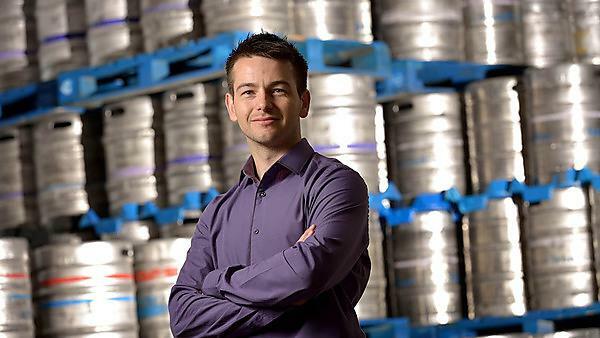 Tolchards tapped into the University of Plymouth and Western Morning News Growth Fund (PWFG), a key component of GAIN – the Growth Acceleration and Investment Network set up by University of Plymouth, Plymouth City Council and Plymouth Science Park, through their Finance Controller, Ed Haine. Ed played a key role in clinching £10,000 from PWGF, which enabled Tolchards to invest in new staff, develop an online ordering service and create a bespoke wine list service, which is a specialist offering in the sector. With a new depot in Hampshire and a team of 36 staff, the business is quickly growing its client base across the south of England and also into London. Originally single-handedly managing the company’s finances, Ed now manages a team of three and has a more strategic role but continues to enjoy working for a friendly family business. He said “When I joined Tolchards we were a team of 15 and I was responsible for every aspect of the company’s finances. It is an excellent role as there is always something different to do and I’m also fortunate to be working with a great bunch of people." PWGF made more than 60 grants totalling £4.7million to South West companies designed to support the creation of more than 500 new jobs by 2015. These awards also unlocked private investment in the region of over £9million. "Working on the bid was a highlight of my career to date with Tolchards. The funding enabled us to significantly improve our online offer and give our customers something different, giving us the edge over our competitors. The company has seen fantastic growth and continues to look forward."